Your debut collection of poetry, The Promised Land , discusses the “citizens of disposable cities”—and, when speaking with Deepak Unnikrishnan you said “Our image of the exile is that of a consumptive dreamer hallucinating of home in a foreign land.” How have these things led to the writer you’ve become, where do you think they’ll guide your writing into the future? It is a sad truth that the Emirati dream—the construction of a fully functional nation-state in less than three decades, a miracle of modern engineering, which provides a modicum of economic empowerment and stability in a region devastated by Western wars—has been built entirely on the backs of millions of guest workers, who are thrown out the minute they’re no longer useful, usually against their wishes. Many of my friends and acquaintances in Abu Dhabi, who hailed from various different parts of the world, would have given anything to become hyphenated Emiratis, had they been granted the ability to naturalize or to acquire permanent residency. Nevertheless, just as Abu Dhabi is a ‘disposable city’ created entirely to extract, process and distribute the nation’s so-called greatest resource, oil, it is also a city almost entirely populated by disposable people. As I wrote in one of the prose poems in The Promised Land , “Only two out of ten people die in Abu Dhabi, the rest simply fail to have their visas renewed” and this is no exaggeration. I have seen workers who dedicated three or more decades of their lives to the creation of the UAE die on the job only to be “bagged, tagged and placed on the next available flight back to wherever they came from”, despite the fact they no longer had a home to go back to. I have often been haunted by the image of those repatriated bodies, shipped to homelands that had long since forgotten them, buried surrounded by unfamiliar faces. To reside long-term in the UAE requires a gargantuan amount of patience, industriousness and good health. Should either of those three qualities begin to falter, one’s presence becomes increasingly precarious until one is forced to leave. My father worked in the UAE from 1980 until 2016, when he was forced to leave the country after several of his clients refused to settle their accounts with his construction firm, forcing him into bankruptcy. As a foreigner working for Emirati clients, he had no legal recourse. Much as the UAE’s authorities attempt to deny this, keen as they are to maintain their pristine image as a tourist-friendly travel nexus, the UAE is fairly lawless. Its millions of foreign residents, who constitute nearly 90% of the population, are largely subject to the whims of the tribal autocrats who rule each tiny Emirate like a medieval fiefdom. Almost everything I have written thus far is an attempt to describe this complicated situation. Nevertheless, I don’t think Abu Dhabi will be my only subject. Almost needless to say, the mechanisms I have described above are unfortunately spreading like wildfire and are fast becoming the norm across our planet. The H-1B visa system in the United States is a good example. American and multinational businesses have long exploited these racially biased laws to exploit immigrants and create a cheap, moveable workforce that can be imported and deported according to their needs, thereby creating trans-national communities whose rights are left unprotected by any of the states they happen to be passing through. Unfortunately, I will not be lacking for inspiration. I think much of my work in the future will be fueled by this phenomenon, which only seems set to worsen. You have written several travelogue-esque pieces about your life growing up and returning to Abu Dhabi, and its current state as it enters its ‘mid-life crisis’ period. Does writing about the city help you understand it more, or are you still attempting to find its truth? Having been ejected out of the UAE at eighteen—the children of the UAE’s guest workers are legally obliged to leave the country on reaching maturity—it was inevitable that I would dedicate much of my early writing to figuring out where I came from, especially if that place preferred to ignore my very existence. It is, in a sense, an act of revenge, although the spleen one may detect in my writing is born out of love, a passion for belonging left unfulfilled. As far as I am concerned, although I consider myself intimately acquainted with Abu Dhabi’s history, topography, culture and language, I will never stop learning about it. Much as we try to deny it at times, we never truly understand the places we live in. Native Londoners or New Yorkers who have never strayed beyond the M25 or the Five Boroughs and who believe themselves to know the truth of those cities, are ultimately deluding themselves. Cities change before our very eyes and the truths we think we know only crystallize in our minds, while the environments they were birthed by have morphed out of all recognition. Writing about Abu Dhabi has helped me to understand the experience of others, as well as my own, and I don’t think that process will ever end. I would be very disappointed in myself if it did. In an interview with Guernica , you commented that “History is all I have.” It’s such a poignant way to look at both your life and your writing; does that still hold true? I think it does. My mother is Italian, but I never lived in Italy. Similarly, while my father is Iranian, I never lived in Iran, either. What remains of my heritage on either side of that fictional fence we call ethnicity resides in the books I carry with me and the cultures and literatures they transmit. My mother hails from an intensely xenophobic part of Italy, the northeast, and marrying a dark-skinned foreigner didn’t do her any favours. As for my father, he was forced to leave Iran at the end of a barrel, causing a deep break with his native culture which led to him failing to hand his language down to his sons, none of whom speak Farsi. History has been my Virgil in this rootless Hell. It allows me to acquaint myself with cultures I will likely never truly embrace, while simultaneously allowing me to gain—if only the slightest—foothold on the other cultures I have been drawn to. I travel on an Italian passport, but I was raised by my parents to think of myself as a citizen of the world and while that may be a benign delusion which comes with many complications, I believe the sentiment holds value. While Theresa May recently claimed that citizens of the world are “citizens of nowhere”, I like to think I actually belong everywhere I choose to go. To be a citizen is to understand the duty one has towards the wider whole, namely society and the institutions we create to further that society. Nobody—least of all demagogues like May—has the right to deny me—or anyone else—the ability to bond with my fellow human beings. History is all I have because my present is dictated by ruthless, inhuman forces outside of my control, forces I am constantly at war with, as we should all be. That statement may end up being truer than I thought: the Middle Eastern War is now eighteen years old. Soon enough, history may be all that is left of at least half of my heritage. You have lived across the world (you were born in Venice, but have lived in Abu Dhabi, the UK, and the US)—how important is it to immerse yourself in the local creative community? It is immensely important, perhaps simply because I was born without a native community of my own. This has brought certain advantages and disadvantages, but I usually prefer to dwell on the former. While working on my translations of Morocco’s greatest living poet, Abdellatif Laâbi, I spent a great deal of time living in his country, first in Fez, then in Tangiers and finally in Marrakech. The act of living in Morocco and imbibing that country’s culture on a quotidian basis inevitably led to a greater understanding not only of Laâbi’s work, but more importantly his context. For instance, it was incredibly inspiring to witness the transformation of Laâbi from one of Morocco’s ‘grey guardians’ of art to one of its most vital, breathing assets when his work was embraced by a new generation—namely the young activists, artists and intellectuals fueling the Arab Spring—and given a whole new lease of life. My homelooseness has meant that I have plugged myself into whichever culture has drawn my interest and curiosity and I am happy to say I have never felt rebuffed. Our world is ruled by fear, and travel and exploration are our greatest antidotes to that fear. Of course, as I wrote in a poem of mine inspired by a friend who once visited me in Cape Town, where I spent a year, “travel can harden the heart, inure it / to pity and pain”. I think I’ll always have to be careful to ensure that being peripatetic doesn’t lead me down the road to jadedness. There is a danger of that, but it is one I am pleased to confront head on. The answer to that question may vary day by day, as it does for all of us, I suspect, but so long as I am able to continue doing what I love, namely learning and writing, then yes, I consider myself creatively satisfied. Of course, doing what I do is nothing short of a luxury. During one of my rare visits to Italy as a teenager, I fell in love with the Italian songwriter Fabrizio De André, whose words I can recall verbatim to this day. “Art requires solitude and solitude is a luxury many of us cannot afford—women often don’t have it and neither do the poor, the sick, the old, or the young.” It would be comforting to see writers and artists of all stripes band together to ensure their rights—and privileges—are preserved for the betterment of our fellow citizens. I am sorry to say that while arts organizations are constantly flush with funding these days, very little of that money actually goes to the artists themselves, especially the ones with the greatest needs. As far as I can tell, arts organizations, like all other societal institutions at the moment, are being infected by the corporate germ. The institutions I have collaborated with over the course of the past decade are now almost all headed by CEOs. This is ridiculous, not only because they’ve adopted corporatese, but because they’ve also swallowed the mentality that goes with it wholesale. Stig Abell, the editor of The Times Literary Supplement , recently tweeted that their paper sales are higher now than they’ve been since the 1950s. Unfortunately for the Supplement ’s writers, their rates remain capped at the 1990s levels, while the cost of living has simultaneously ballooned out of proportion. This is wrong and something should be done about it. Of course, writers need to make a living and are therefore wary of biting the hand that feeds them, even when that hand only doles out crumbs. Rough Trade Books will be publishing my first pamphlet, provisionally entitled The Ghost of 1919 , this summer. We are currently living in the midst of the Third Red Scare: left-wing political movements are being repressed throughout the West, whether in Europe or the United States, and this new series of poems attempts to bridge the last traumatic century through some of the most under-discussed moments in our recent political history. Following three years of research and assemblage, Pushkin Press will also be issuing another project of mine this summer: The Heart of a Stranger: An Anthology of Exile Literature . This book chronicles the condition of exile from ancient Egypt to the present day through fiction, nonfiction and poetry. Contributions include Naguib Mahfouz on an ancient Egyptian myth, the aphorisms of the Desert Fathers, the Judeo-Arab poet Moses ibn Ezra, Madame de Staël’s thoughts on Napoleon’s tyranny, Emma Goldman’s final moments in the US following her deportation to Russia, the exiled Chinese Uyghur poet Ahmatjan Osman, and the Bhutanese Lhotshampa writer Omnath Pokharel, whose people were banished into neighboring Nepal in the 1990s, as well as the Eritrean poet Ribka Sibhatu, to name only a few. Collaborating with the authors and translators featured in this volume has been one of the great pleasures of my life. My favourite poetry debuts of 2018 were Citizen Illegal by José Olivarez (Haymarket Books) and Eye Level by Jenny Xie (Graywolf), my reviews of which are forthcoming. Much of what I’ve liked over the course of the past year has eventually wound up in Ambit magazine, where I began serving as Poetry Editor in July of last year. The three issues I have edited so far have included the work of established poets like Karen Solie, Carl Phillips, Fred D’Aguiar, Fady Joudah, Sholeh Wolpé and Fred Voss—to name only a few—alongside younger voices like A.K. Blakemore, Jennifer Lee Tsai and Maryam Hessavi. Perhaps all too predictably, I have also given many pages over to translation and highlights for me in that vein include the Iraqi Fawzi Karim, the Brazilian Mário de Andrade, the Sudanese Al-Saddiq Al-Raddi and the Italian Pierluigi Cappello. 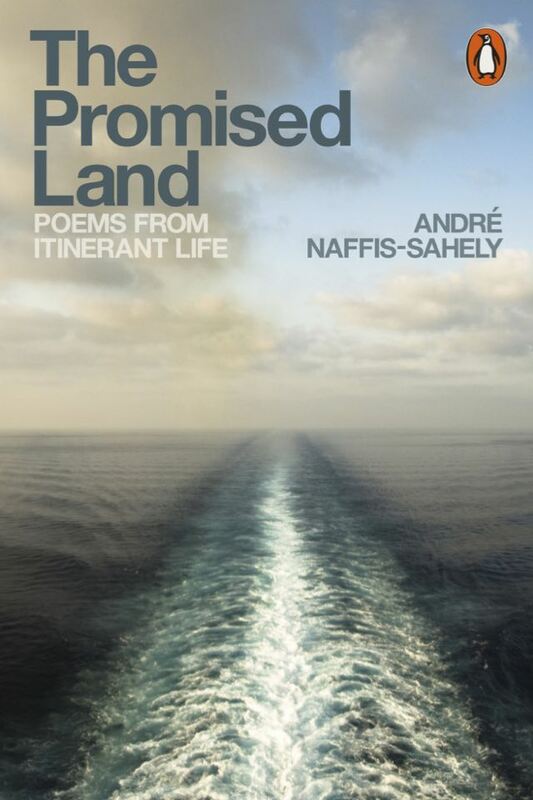 André Naffis-Sahely is the author of The Promised Land: Poems from Itinerant Life (Penguin, 2017). His translations include over twenty titles of fiction, nonfiction and poetry from French and Italian. He is currently a Visiting Fellow at Manchester Metropolitan and is the poetry editor of Ambit Magazine .